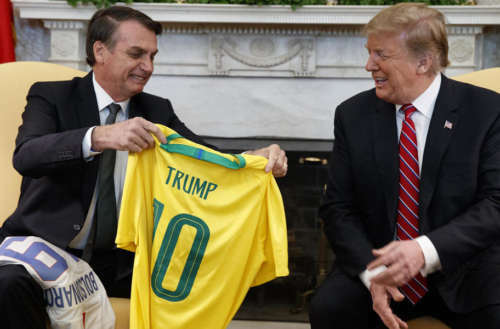 Today, March 19, U.S. President Donald Trump welcomed Brazil’s recently inaugurated President Jair Bolsonaro to the White House. During a press conference shared by the two men, the world leaders bonded over their bigoted, conservative stances of homophobia and transphobia in addition to a hatred for “socialism” and “fake news.” It was the first Bolsonaro White House visit of the Brazilian leader’s administration. 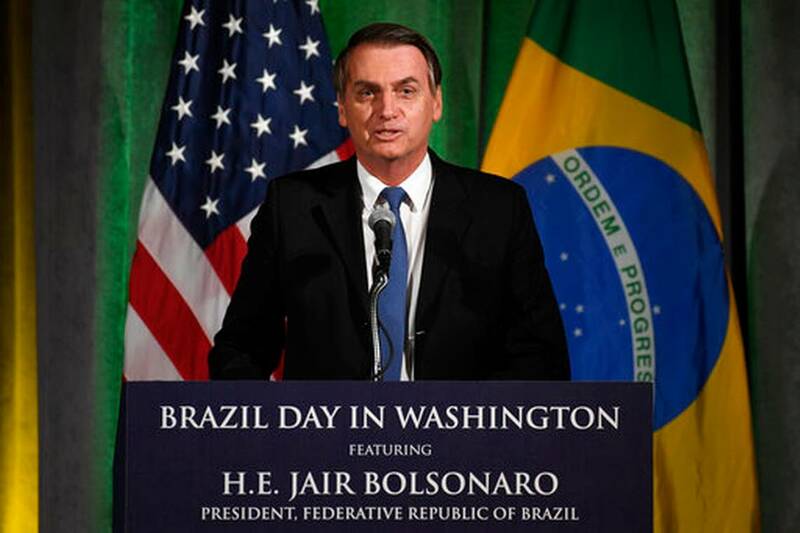 “Brazil and the United States stand side-by-side in their efforts to ensure liberties in respect to traditional family lifestyles, respect to God our creator, against the gender ideology or the politically correct attitudes and against fake news,” Bolsonaro said through a translator at the press conference. 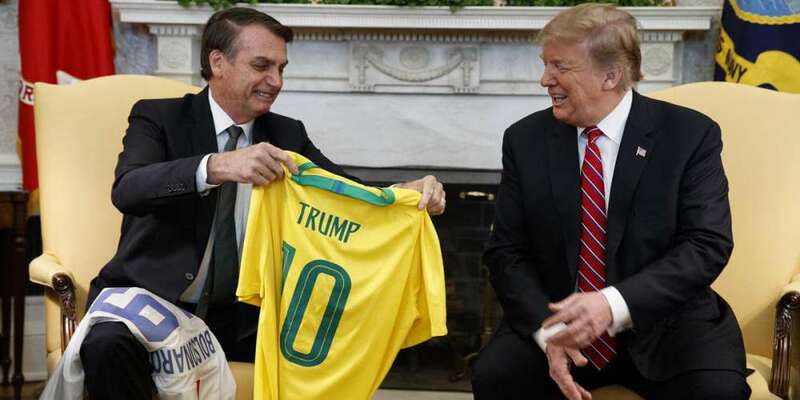 Bolsonaro, sometimes referred to as “Trump of the Tropics,” has had the full support of Trump and his administration. The Intercept once referred to Bolsonaro as “the most misogynistic, hateful elected official in the Democratic world.” His history of misogyny, racism and homophobia is rather well-documented, which is why the public and talking heads weren’t all that surprised the Bolsonaro White House visit was taking place. Trump himself has never wasted breath over worldwide LGBTQ civil rights, whether it’s him uttering nothing about the confirmed torture and murder of gay men in Chechnya, for example, or neither him nor his vice president caring to acknowledge the struggle of gay men throughout the HIV/AIDS epidemic. There’s also his trans military ban, of course. No LGBTQ citizen of any nation wants to see their chief executive play nice with authoritarian bigots whose power threatens the queer community’s very existence. But that also doesn’t mean we’re surprised when we see two wannabe autocrats hamming it up on the White House lawn. What are your thoughts on the Trump and Bolsonaro White House press conference?